Roofs have the same importance as any other part of a house. Before you repair your old roof or get a new one, research types of roofing available. You will have to spend a significant amount, which depends on some factors. Here are some factors that determine how much you have to pay for a new roof. Installations of chimneys, eavestrough, and pipes will escalate the installation cost. 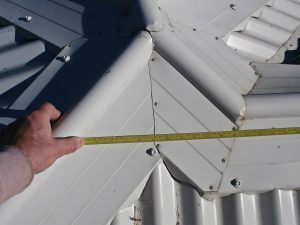 First measure the size of your roof, as this provides an approximate of the material required for completing the roof. Contractors typically measure the size of the roof in the square where one square means 100 square feet. Based on estimates, the average house would be 3000 sq. Ft or 30 Squares. Measuring the base of the house allows you to calculate the exact measure. Divide homes with irregular shapes into geometrical shapes. You can calculate the total size by estimating the size of each form and adding it. The second step lies in figuring the tone or the angle of the roof. It is calculated by a ratio. The steeper the pitch, the costlier it is to install the roof. On an average, most roofs have an angle of 6-12. This means that the roof rises six inches vertically for every 12 inches of its horizontal measure. One can calculate the pitch with a level by placing it horizontally against the bottom of the roof’s rafter. Measuring vertically from the 12-inch mark will provide the angle of the roof. It is quite common to under or overestimates the number of shingles required for the roof. Always include a 10% waste margin while calculating, so that you can replace shingles in case they are damaged during the installation process. The price of a single three tab shingles is approximately in the range of $65 – $78. 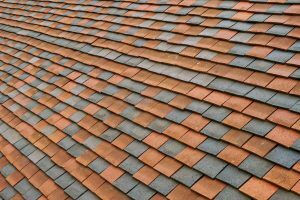 Therefore, shingles required for the typical roof would cost anything in the region of $2,600 to $3,200. Shingles apart, you also expect things to keep them in place. To do this, you can opt for either a 15 lb felt or 30 lb felt. However, the 30 pound felt covers only 50 percent of the squares than the 15 lb felt do. The cost of 15 lb and 30 lb felt would cost $160 and $320 respectively. Add $100 if you want to include water and ice shield. The ridge vent is another option you can go for. It can help reduce the cost of the four-foot sections of ridge vent costs $10 per roll. Be prepared to shell out an additional $1000 on an average to tear down your existing roof when you are looking to replace your old roof. The company you have hired for the roof installation job determines the labor cost. Most of the companies that undertake roof repair in Vancouver charge approximately $50 per square, as it is not a simple process and requires lots of effort and effort. This adds up to $1,500 per roof that measures 3,000 square feet or 30 squares. The total is approximately $6,200 once we add up all the expenses. However, many other additional charges crop up during the replacement process such as additional supplies, transportation costs, etc. that will inflate the final price. Therefore, be prepared to pay anything around $8,000 to $10,000 depending on the company you hired for the job. Why do you not hand over your roofing Vancouver problems to Cooper Roofing? They have years of experience in installing roofs and undertake roof repair jobs too at pocket-friendly prices. Qualities of a Reliable Roofer in Vancouver Does Your Home Need Roof Ventilation?